One of the newer additions to my tea-themed vintage Valentine collection says, "Dear Teacher, Please be my Valentine!" 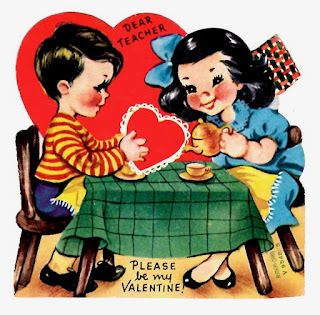 What little boy wouldn't love a pretty dark-haired teacher pouring him a cup of tea? 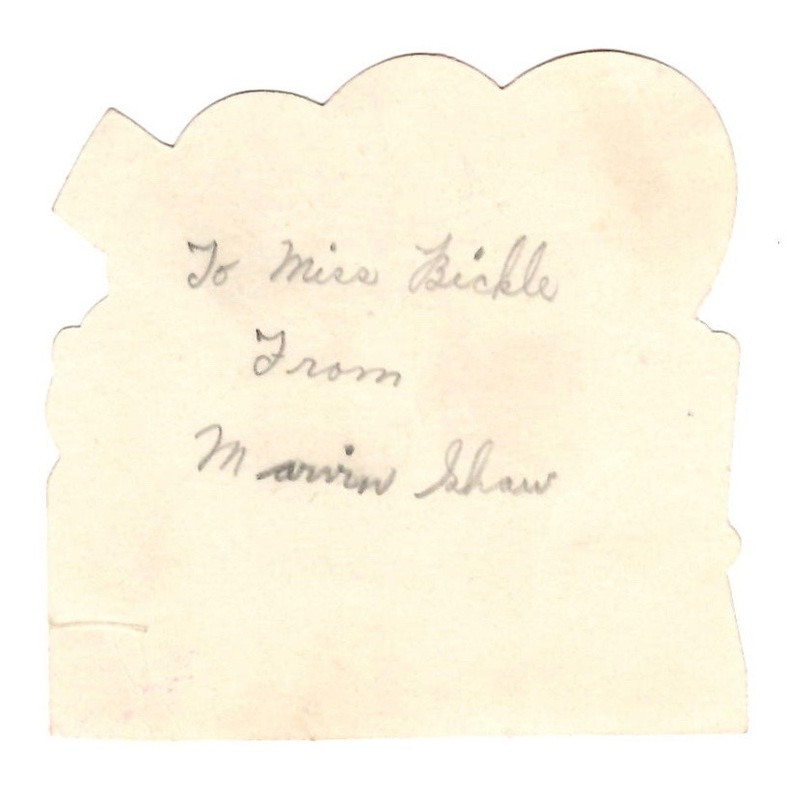 And I love how the back of it reads "To Miss Bickle From Marvin Shaw." I have no idea who Miss Bickle was, but don't you love her name? 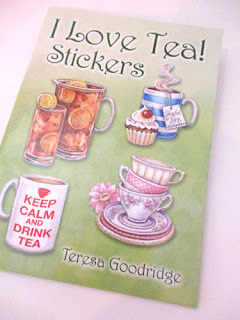 For our Day Two giveaway, I'm offering some more of the I Love Tea! stickers that were such a hit last year. I've been through a couple of these little sticker booklets already myself and really like them. 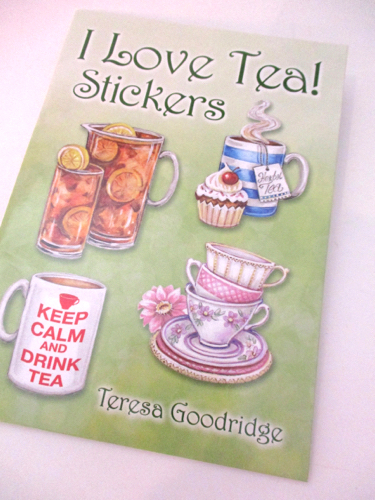 They're great for dressing up a letter or package when you know the recipient is someone who enjoys tea. If you'd like to win them, just leave an "Enter Me" to this post by 7 a.m. EST tomorrow, Feb. 10, and you'll be entered to win. As always, please make sure to include an email address or some way that I can contact you if you're the winner. US only, please. Good luck! Please eneter me in your tea stickers give away. My computer mail is msrothfus at outlook dot com. Thanks. I would love to win those cute stickers. 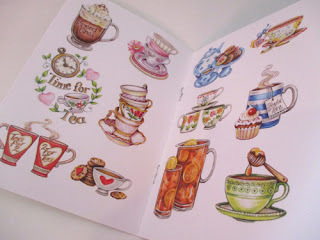 You find the cutest tea things. Please enter me. Please "enter me" for those cute stickers. I'm so used to checking this blog on Monday, Weds, and Fridays that I forgot to check it over the weekend! I'm catching up now on all these cute Valentines.